I thought this was hilarious… blogging is becoming all the craze. 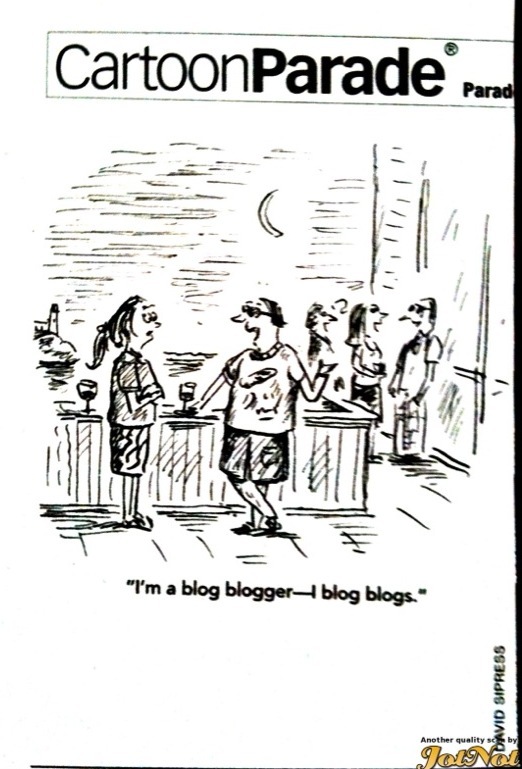 It seems like everyone has a blog these days (case in point- yours truly)… it’s gotten to the point where this cartoon is actually true: bloggers are blogging about blogs. Have a great weekend!